Dr. Kumar is a Board Certified Internist at the Cleveland Clinic. Prior to joining the Cleveland Clinic, Dr. Kumar was practicing at the Firelands Regional Medical center in Sandusky, OH. Prior to that, he was practicing at UPMC Presbyterian/Montefiore Hospital in Pittsburgh, PA as a hospitalist. 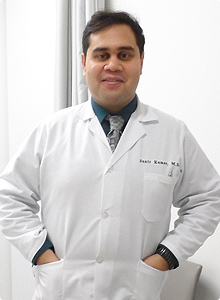 Dr. Kumar graduated medical school from St. Matthews University and completed his internal medicine residency at the Mercy Hospital and Medical Center in Chicago, IL. Dr. Kumar completed his undergraduate degree from the University of Michigan and remains loyal to his school despite living in Ohio. In his spare time, he enjoys listening to music, watching movies, playing tennis and basketball with friends, and watching sports. 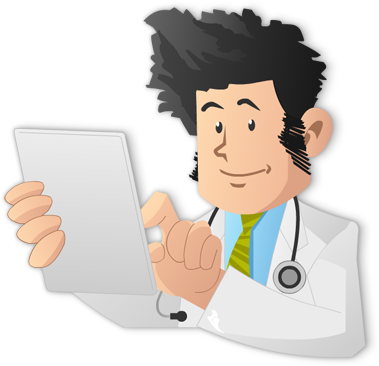 Dr. Kumar loves talking to Internists so drop him a line at sunir@knowmedge.com! Dr. Bhatia is a Board Certitifed Internist at the Kaiser Permanente Medical Center in Fremont, CA. Dr. Bhatia graduated from the David Geffen School of Medicine at UCLA and completed his internal medicine residency at Allegheny General Hospital in Pittsburgh, PA.
Dr. Bhatia completed his undergraduate degree from the University of California Davis. In his spare time, he enjoys sitting back with a cup of tea and reading the newspaper. He also enjoys spending time with family and working out. Ravi loves hearing from other Internists so send him an email at ravi@knowmedge.com! Dr. Fakhri is a practicing Cardiologist currently working at Excela Health Latrobe Hospital in Latrobe, PA. Dr. Fakhri graduated medical school from NEOMED (Northeastern Ohio Medical University), completed his internal medicine residency at Beth Israel Deaconess Medical Center in Boston, MA, and completed cardiology fellowship at Allegheny General Hospital in Pittsburgh, PA. In his spare time, Dr. Fakhri enjoys traveling and spending time with his family. Content Contributor Dr. Rezaie completed his medical school training at Texas A&M health Science Center, and followed that up with a combined Emergency Medicine/Internal Medicine residency at East Carolina University in Greenville, NC. Currently, he is an attending on the faculty of UTHSCSA in San Antonio, TX, where he focuses on medical education, social media as a tool for education (FOAMed), and building the bridges between internal medicine, critical care, and emergency medicine. Feel free to contact him on Twitter (@srrezaie) about anything EM/IM! Dr. Reziae has also started a Google+ Community which is focused on EM/IM and ECGs. Content Contributor Dr. Oh is currently a child and adolescent psychiatry fellow at the University of California in Los Angeles. She completed her adult psychiatry residency at Harbor-UCLA Medical Center in Torrance, CA. She obtained her medical degree from the David Geffen School of Medicine at UCLA. Dr. Oh is interested in reducing stigma against mental health and increasing the awareness and acceptance of treatment especially within the Asian community. Content Contributor Dr. Huang is currently a Chief Resident of the Department of Internal Medicine at the Cedars-Sinai/West Los Angeles VA residency program. He double majored in biophysics and neuroscience at Brown University where he also obtained his MD. Next year, he plans to continue his training as a Gastroenterology fellow at UCLA. Outside of the hospital, he enjoys playing guitar, basketball, and snowboarding. Content Contributor Dr. Astin is a physician at the Medical Center of Central Georgia in Macon, Georgia. He is board certified in both internal medicine and emergency medicine. Feel free to contact him on Twitter (@MastinMD). Content Contributor Dr. Feng is a board-certified internist and is currently an allergy/immunology fellow at the University of California at Davis. He obtained his MD from the David Geffen School of Medicine at UCLA and his BA in human biology from Stanford University. Dr. Feng has a passion for medical journalism. In his spare time, he likes traveling, reading, and eating at exotic restaurants. Content Contributor Dr. Kosik is a graduate of the David Geffen School of Medicine at UCLA. 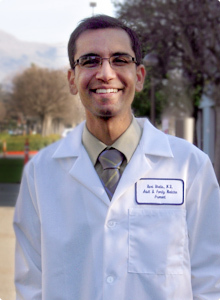 He completed his internship in Internal Medicine at St. Mary's Medical Center in San Francisco, CA, and is currently a radiology resident at Santa Clara Valley Medical Center. In his spare time, he enjoys exploring other countries and cultures, reading, and writing. Content Contributor Dr. Sheila Krishna is currently Chief Resident of the Department of Dermatology at the Medical College of Virginia/Virginia Commonwealth University Health System. She is interested in complex medical dermatology and general dermatology. Content Contributor Dr. Bhatia is currently in her final year of Internal Medicine residency at St. Louis University. She obtained her medical degree from Northeastern Ohio Medical University in Rootstown, Ohio. Dr. Bhatia is interested in pursuing a fellowship in Gastroenterology and is specifically interested in the area of Liver Disease. Content Contributor Dr. Risha J Khatri is a recent medical graduate from American University of Antigua. She has an interest in pursuing a career in Family Medicine with a focus on Women's Health. She is currently shadowing a Family Physician in Markham Ontario, and volunteering as a Research Assistant, Department of Molecular Genetics, University of Toronto. While she is learning to be proficient in Indian classical dance, she also teaches the same to junior students. She also turned her hobby of Henna into a part time successful business. 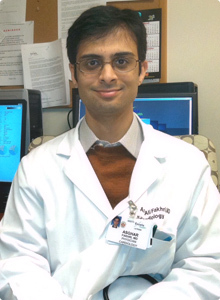 Advisor Dr. Babar completed Internal Medicine residency from University of Pittsburgh Medical Center. He was Chief Resident in the program and later did his Geriatric fellowship from Temple University program at Lancaster General Health. He is Chair of GME, Clinical assistant professor of medicine and Associate Director of the Hospitalist program at Lancaster General Health. He also runs the Internal Medicine teaching service for residents in training at Lancaster General Health/Temple university program. Dr. Babar has been conducting Internal medicine board review courses at various academic centers since 2007. He founded iMedicine Review in 2010 and in addition to continuing his live courses, he created educational apps for residents and physicians preparing for ABIM Internal medicine board exam. His three-and-a-half day live course will be conducted at five different sites in 2014. For details, visit imedicinereview.com.